​Whatever your role at the wedding, I’ve got your speech covered. ​"Anita, I just wanted to say thanks and let you know that my best man speech went down exceptionally well. Over half the people at the wedding came up to me and said how great it was on the night. Thanks again you are a super star! ​Whether you’re the groom, the best man, the father of the bride or the bride herself, finding the right words to say at a wedding can be a challenge. ​It’s such a special day, and the pressure is on to say something moving and memorable (don’t forget it will be recorded and watched again and again!). But don’t worry, I can help you get your thoughts in order, express exactly what you want to say and create a speech that stands the test of time. ﻿"Anita, I absolutely killed it and I’m not exaggerating. I have given speeches before but never have I had a response like I did on Friday. I really felt I was engaging with the audience and I’ve never really had that. Thanks again Anita, it was worth every cent. I'll definitely be using you again in the future." I can even help you prepare customised wedding vows. Why choose Write it for me? "I just wanted to thank you for the speech, it went down a storm! I will no doubt recommend your services to anyone wanting some help with their speech.. "
Questions: I’ll send through a brief questionnaire for you to complete. The more detail you give me the better the finished result will be. We’ll repeat steps 4 and 5 to make sure you're 100% happy with your speech. "Anita, I wanted to let you know that the speech went UNBELIEVABLY well! Thank you so much for all your last minute help - you are a lifesaver! My brother proposed to his girlfriend recently so I suspect I'll be contacting you again in the very near future. I promise to give you more notice next time. Thanks again." I like to keep my pricing as straight forward as possible. Please choose from the below speechwriting packages. NOTE: To qualify for the editing option you will need to provide me with a finished draft of between 800 - 1000 words. 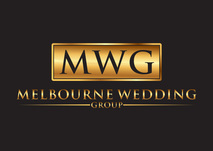 If you’d like to know more about Write It For Me and my professional wedding speechwriting services, please give me call in Melbourne on 0418 120 551 or email me. "The speech was wonderful! Thank you so much for your advice and input to make the day so special. " "Anita is a life saver! As a typical male leaving things to the last day, I wrote a horrible speech myself. I put down dot points of what I wanted to say and then tried to make them into sentences and paragraphs. It was a mess... I really need some help to pull it all together. Anita took what I had and worked her magic and made it perfect! Thank you once again."